The next version of Windows, Windows 10, will be available late next year. Microsoft just finished wrapping up its announcement of Windows 10, showing off all its new features like a hybrid Start Menu and multiple desktops. Windows 10 is Microsoft’s most ambitious version of Windows, unifying the company’s products under one operating system. 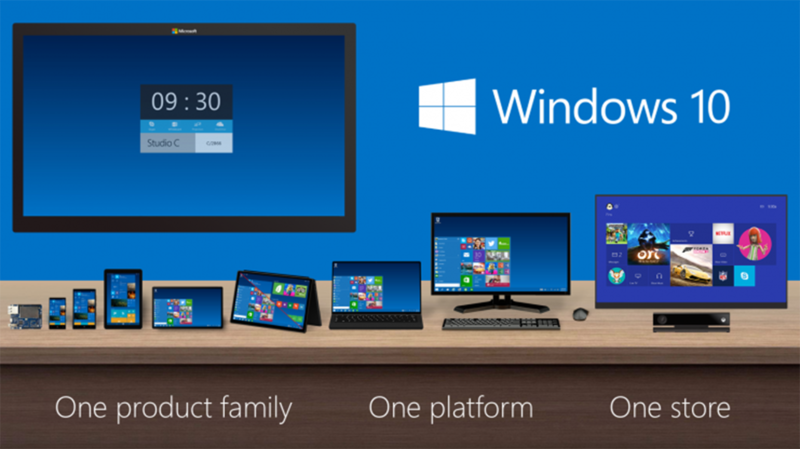 Phones, tablets, laptops, desktops and even the Xbox One will run Windows 10. Although customers won’t be able to buy Windows 10 until late 2015, they will be able to get a preview of the operating system tomorrow. The Technical Preview will be available to those who sign up for the Windows Insider Program. Microsoft hopes users will download the preview and provide feedback to the company to help polish the operating system before releasing a finalized version. Microsoft dodged questions about pricing for Windows 10, which most likely won’t be revealed until the operating system is ready. Microsoft faces tough competition from Apple, who has a history of giving away its operating system upgrades for free.